More than half of the world Facebook users are the users already on the road, uploading photos, virtual checked in locations. Facebook has just renewed its Messenger App: In the new version 2.1 , it is also possible to send voice messages. In the next few weeks, with the app, according to Facebook and VoIP calls possible. During these discussions, there are no conventional telephone charges. 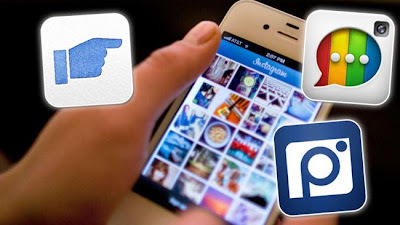 In addition to the standard apps for Facebook and there are several other useful programs that can help extend the features of the networks: Chat with Instagram users in the vicinity, Facebook photos in a quick overview or a message to itself delete. Here are five apps that extend the functionality of social network. The photos of Facebook friends to see - many users find the most relevant. Annoying but when Facebook photos of friends simply filters out. Pixable provides an overview of all the pictures of Facebook friends subdivided further into new profile pictures and the best images of the day. So you have ALL with one click pictures at a glance. Also works with Twitter and Instagram. In December 2012, Facebook has released this app. The highlight of Poke: With the app you can send a message to other users and set how long the others will see the message - then the message disappears and the image. By the beneficiary during this period a screenshot, the sender is notified. Facebook responded to the app on the popular mainly in the U.S. service Snapchat which has similar features. Echofon is an alternative for the Twitter app: Your own account is presented here in a tidy and above all fast mask. Photos are in a mini-preview displayed next to the Tweet. It is also possible to display tweets is in the vicinity. A bit annoying but the advertising that appears in the top bar. Facebook Trainer - how well do you know your Facebook friends? This app is in between the rather funny pastime: The Face Trainer Facebook users can test how well they know their friends in the network. In several levels of difficulty pictures of friends are alienated, then you have to guess who is hiding behind the distorted picture. The app shows you which Instamessage user is currently located in the vicinity. The distance is displayed accurately on up to ten meters. For this, the user must, however, also share their own location. 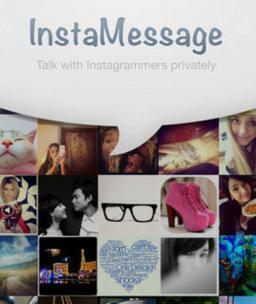 It is also possible, Instagram users to post messages or chat with them. By the users in the Apple store, the program received in the rating 3.5 out of 5.